The popular cliché stating that a picture speaks for a thousand words is highly relevant in the contemporary business infrastructure. Whether you have an official website or an e-commerce portal, you need images and photos to complement the descriptive texts. Well, this can be a painstaking task. When you have tons of images waiting to be incorporated into your website, you need professional support from a third party, which can leverage your operational infrastructure with updated technologies and skilled manpower. The best option is to outsource photo and image conversion services to us. We have the necessary infrastructure and resources to assist you in your business, and that too, at amazingly reasonable prices. Converting your photos and images in the desired format requires expertise. You can choose any file or format and our professional team is ready to do the needful. Image and photo conversion service is needed for various marketing purposes, like developing product packages, listing products in the website, attaching photos along with product descriptions in e-commerce websites and so on. When you need these services, simply give us a knock. Sasta has been in the industry for long, and over the years, we have assisted global companies to deal with photos and images with the utmost professionalism. When you outsource photo and image conversion services to us, you get an upper hand in business through a highly-integrated infrastructure at our platform. You are free to opt for any possible photo format, including JPEG, TIFF, BITMAP, PNG and so on. We deal with PDF files, Doc files, XLS files all different variations of images, as desired by our clients. You can specify any recommendation or guideline if required and our experts will deliver you customized returns within the deadline. We are modernize with the technology, and sometimes the photos need to be edited. We perform all the technical aspects required to get your images customized to perfection. Considering the immense importance images in contemporary business, you can get them in the desired format form us. We prefer to work in close association with the clients and keep in touch with them over the phone throughout the process. If you feel the necessity to get the photo and image conversion services, feel free to contact us. We have a global client base and our reputation lies in the grade of services we provide. We have a good track record in the industry and this is primarily due to our technical expertise and professional team of experts. Our payment slabs are amazingly low, so you will not find any issue with the affordability. Here are some of the other benefits of outsourcing photo and image conversion services to Sasta. Expertise: Expertise is the key driving force behind our success. We deal with tons of images and photos with sophisticated technology and provide the best returns of your money in terms of our services. Security of Data: When you rely on us, we ensure full security to your information. Images and photos carry a lot of visual information about your products, and we never share them with other parties. Turn-Around-Time: Our experts work with professionalism and deliver the services on time. We respect deadlines and make sure that our clients face no hassle due to delays. Customer Support Desk: Our dedicated professionals at the customer support desk provide hospitable services to our clients you can expect a warm welcome whenever you call us up. You can contact us whenever you require image conversion services. We are here with the best resources to assist you in your business. 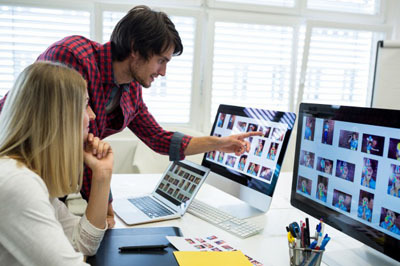 Read an article on the Benefits of Outsourcing Image Data Entry Services. Read more about Data Conversion Services and Optical Character Recognition Services. In conclusion, if you would like to outsource your data conversion work to India please fill in the inquiry form. Our Client Engagement Team will contact you.